Special Judge R Vasanthi framed charges over a month after the Madras High Court quashed the CBI court's earlier order discharging all the accused. The CBI had alleged that over 700 high-end telecommunication lines were installed. 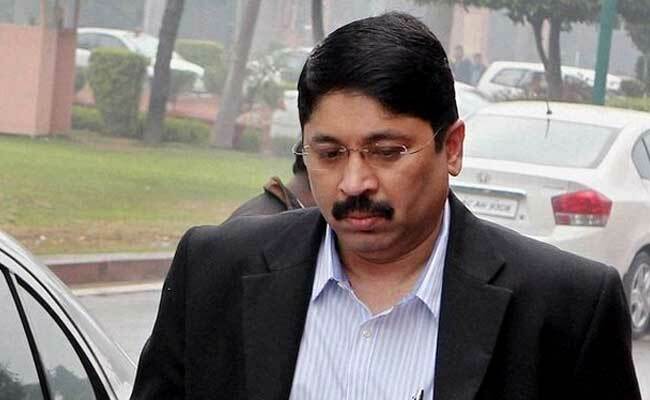 A CBI court today framed charges and ordered trial of former Communication Minister Dayanidhi Maran and others in a case of alleged setting up of "illegal" telephone exchanges to benefit the Sun TV Network of his brother Kalanithi Maran during 2004-06. A high court bench of Justice G Jayachandran had on July 25 held that there were 'heaps' of material evidence against the accused, and had directed the special court to frame charges and conclude the trial within a year after receiving the copy of its order. The other accused are former BSNL General Manager K Brahmanathan, former Deputy General Manager M P Velusamy, Dayanidhi Maran's private secretary Gauthaman and two Sun TV officials.